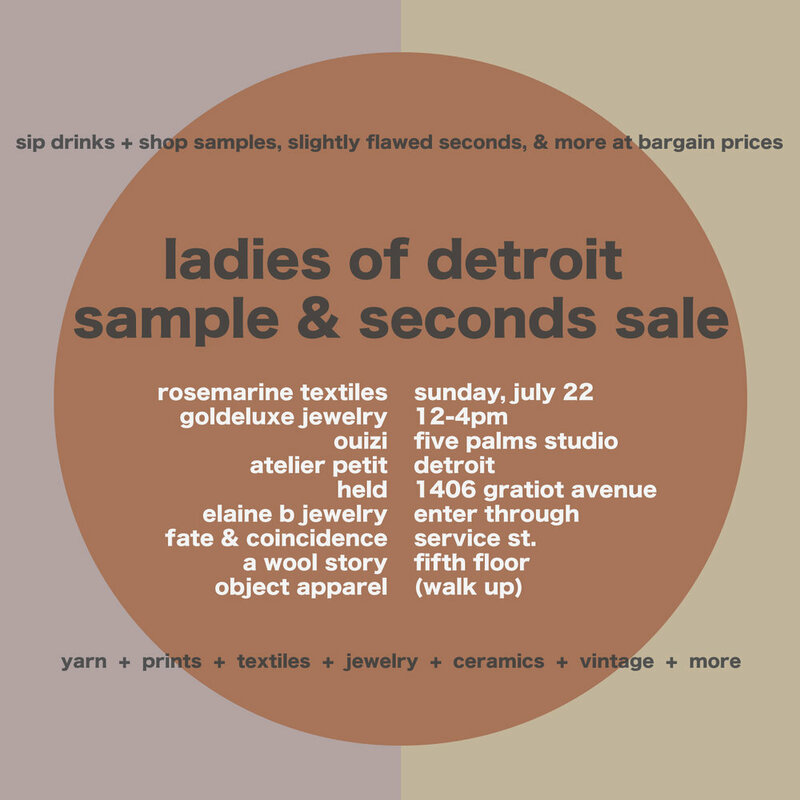 I'm excited to announce that Five Palms Studio Detroit is hosting our first ever sample sale! We will have myself and 0uizi from the studio selling work along with local small business owner friends. On Sunday July 22nd we will have music, refreshments, and lots of amazing one offs, slightly flawed pieces, discontinued products and limited run works all at discounted prices. Offerings will include handmade ceramics, jewelry, vintage clothing and accessories, organic cotton apparel, naturally dyed textiles, recycled yarn, art prints, and more. Find more information and the latest updates on the facebook event here. Object Apparel - Unisex organic cotton clothing screen printed with original artwork. Elaine B Jewelry - Handmade, geometric inspired jewelry. Lightweight wearable pieces for all ages and price ranges. Materials include, silver, 14k gold, 14k goldfill, and stones. 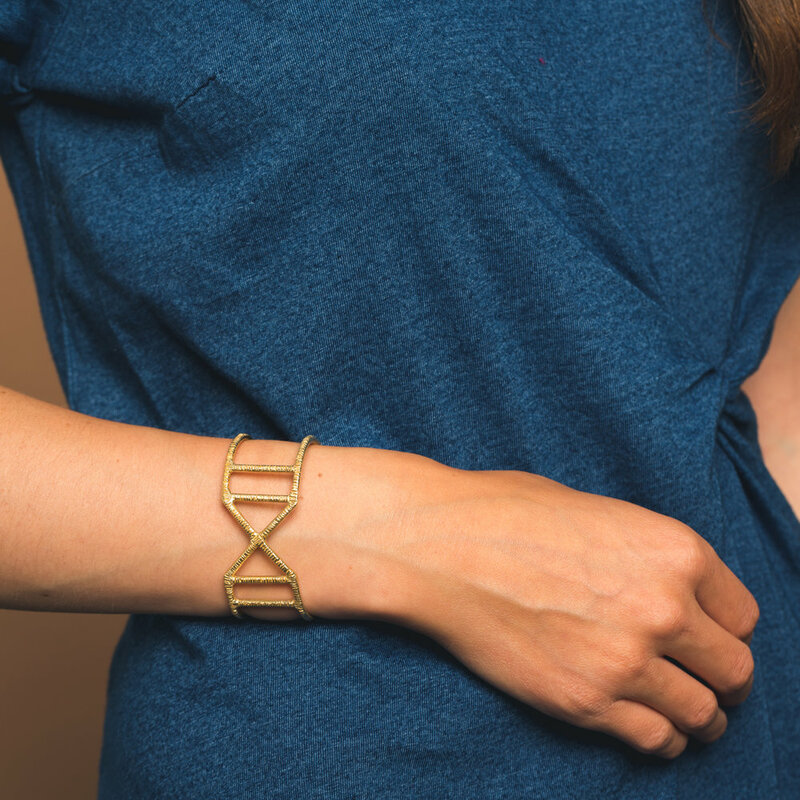 Fate + Coincidence - Jewelry made for the modern bohemian. Rosemarine Textiles - plant dyed textiles for special events including ribbon, table coverings and napkins made with natural fibers and unique colors. 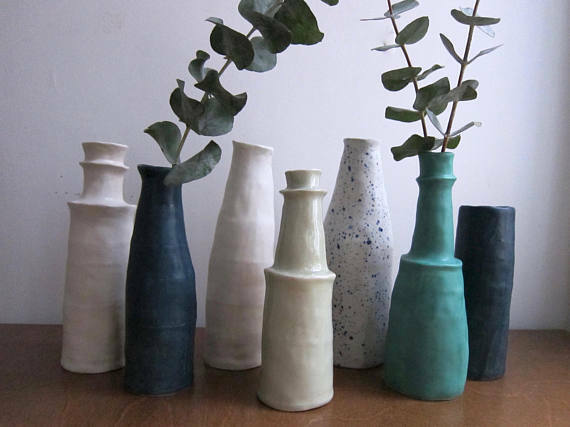 held ceramics - Held creates a variety of wares for your home. Whether it's a planter for your growing houseplant collection, a new favorite mug, or a lamp to illuminate your living room, held has something for you. Atelier Petit - One-of-a-kind and small-batch pottery in fluid, organic forms handmade by Sarah Petit in Detroit. Goldeluxe Jewelry - Handmade minimalist and design forward jewelry designed for every day wear. A Wool Story - Zero waste textile studio with naturally dyed vintage clothes, home items and fiber jewelry.